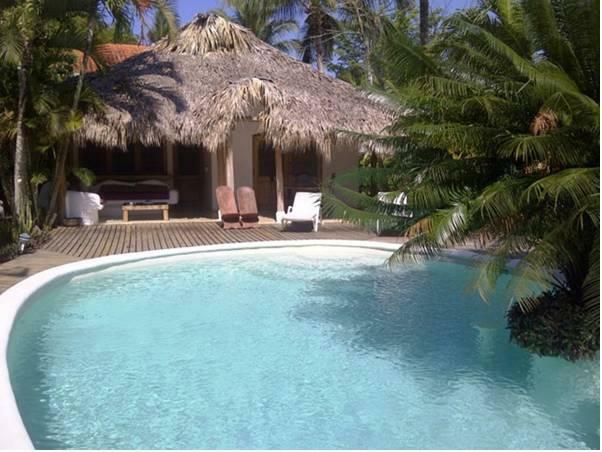 ﻿ Best Price on Villas Coleta in Las Terrenas + Reviews! Featuring free Wi-Fi throughout, free private parking and a sun terrace with swimming pool, the Villa Coleta is only 80 metres from Las Ballenas Beach and 15 minutes’ drive from Punta Bonita Beach. The chalets offer basic décor, seating area and a terrace with pool views. The kitchens come with stove, oven, microwave, fridge and dining area, while the bathrooms include a shower. Guests at Villa Coleta will find a variety of restaurants and bars 5 minutes’ drive away. This property is 5 minutes’ drive from Pueblo de los Pescadores Town Centre and a 25-minute drive from the Samana El Catey International Airport. A deposit via bank wire or PayPal is required to secure your reservation. Villa Coleta will contact you with instructions after booking. Gas and Electricity surcharges are excluded from the rate and will be charged according to the consumption. The USD 500 deposit required at the moment of check in will be refunded at check out. A security deposit of USD 500 is required upon arrival for incidentals. This deposit is fully refundable upon check-out and subject to a damage inspection of the accommodation. A prepayment deposit via bank transfer is required to secure your reservation. The property will contact you after you book to provide any bank transfer instructions.